Maldives Meteorological Service reports it forecasts rain and a drop in the current hot temperature across Maldives in the next few days. Speaking in an interview to ‘Sun’, a meteorologist from the MMS said it forecasts rain for this Sunday evening. “Though we experienced high temperature over the past few days, the temperature will begin dropping now,” said the meteorologist. 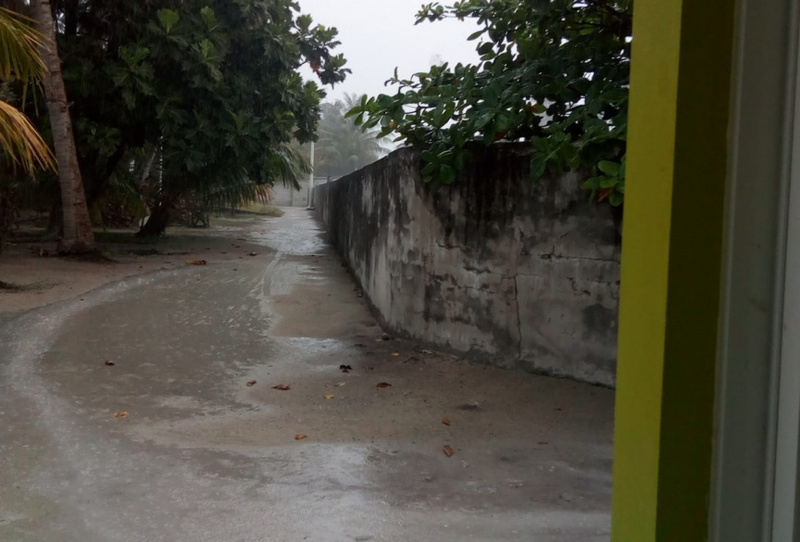 Scattered rain was experienced in parts of Maldives this Sunday. Mid-April is the period Maldives enjoys respite from the hot weather of March and experiences rain. Maldives experienced temperature as high as 33 Degree Celsius in March. Islamic Ministry, on Saturday, announced plans to hold a special salat in every residential Maldivian island next Monday to pray for rain. The prayer is scheduled to be held next Monday.